The State Controller is the Chief Financial Officer (CFO) for the state of California. This is the person who decides where and how our tax dollars are spent. Come learn how he plans to defund the high speed rail, stop the Service and Labor tax and support the repeal of the gas tax. This is one you don't want to miss. 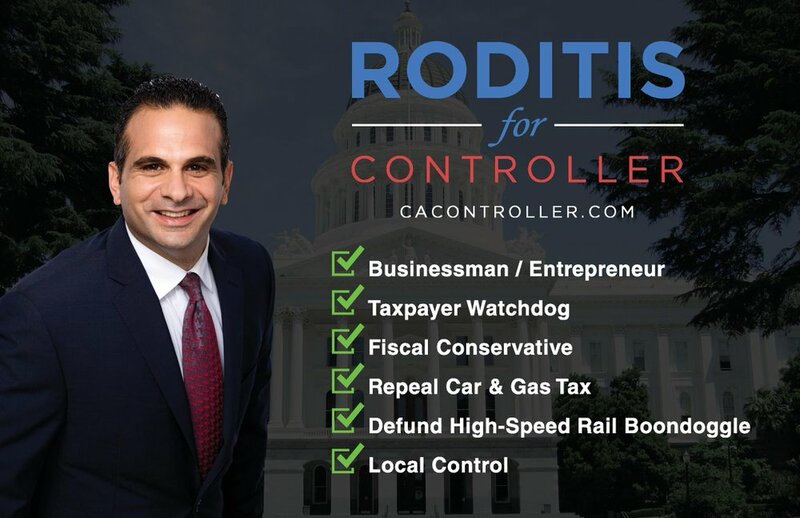 Come and bring your friends to learn why we need to VOTE RODITIS! Everyone Bring one!!! $55 for Non-members and For Reservations made after September 5th.